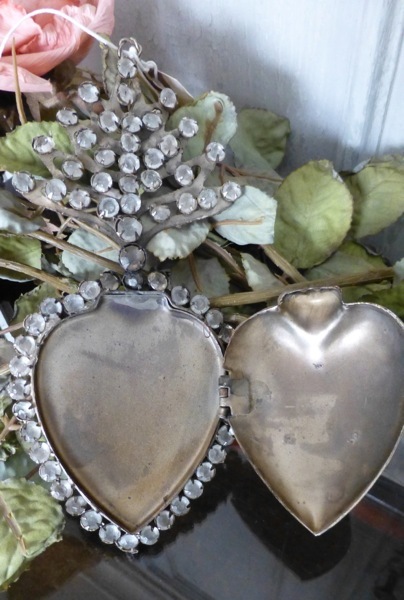 Fabulous vintage inspired Jeweled Flaming Sacred Heart Cachette. 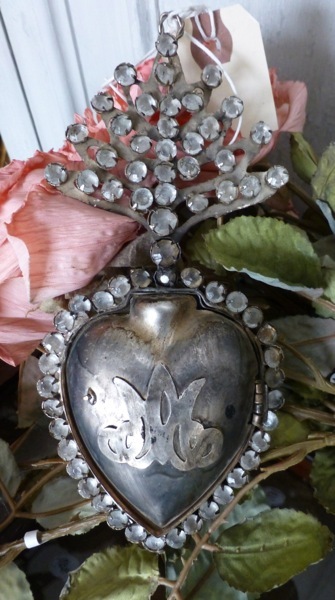 The ex-voto's cahcette (which is a French term for a secret hiding space) was originally used to hold a love token, or thank-you note for an answered prayer! Measures 7" long and is 3" wide, with a hook at the top so it can be hung.